CPG has been listed as one of the biggest players in the event industry in 2016. CPG was named to Special Events magazine’s 15th annual list of Top 50 Event Companies in the country. Previously recognized as an Inc. 500 company, a “Top 100 Event Marketer” by Event Marketer magazine and, most recently, a St. Louis Business Journal winner for the 2016 list of “St. Louis’ Largest Advertising, Marketing and Public Relations Firms”, CPG continues to challenge the status quo and create innovative live experiences that connect people and grow business. As the only St. Louis agency selected for the Special Events’ list, CPG has made a name for themselves by going beyond lights and sound to design experiential engagement solutions that cascade critical brand messaging from leadership to frontline stakeholders. Top brands such as Sam’s Club, Southwest Airlines, Ulta Beauty, Panera Bread, Jimmy John’s and Carnival Corporation have benefited from CPG’s unique live experiences, internal engagement and immersive digital solutions. Special Events seeks to highlight event companies that are “speaking a new language” as exciting new technology and trends like virtual reality, mobile apps and even speaker formats are changing the current landscape of event production and playing a new role in special events. With a focus on ongoing employee engagement and harnessing the attendee experience before, during and long after the event, companies like CPG are turning a moment of impact into a movement that rallies teams around key business messages. To learn more about CPG’s event and engagement solutions, please visit https://cpgagency.com/. Special Events Magazine is the “official and premier magazine of the special events industry in North America” according to the International Special Events Society (ISES). 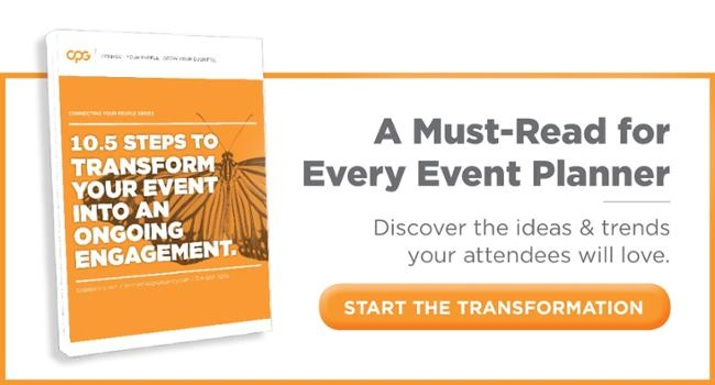 Each issue of Special Events provides event professionals with inspiration, advice on solving problems producing events, products and services, sales-building strategies and business management tips. Available in print and online. CPG is a corporate engagement agency that delivers disruptive brand experiences for top brands by connecting their people to the impactful ideas that drive business and create stronger leaders, inspired managers and motivated team members. Through live events, internal communication strategies and immersive digital solutions, CPG creates ongoing engagement that inspires brand advocates to take action. CPG is part of a cross agency collaborative known as the Nitrous Effect that brings top minds together to deliver powerful marketing solutions. To learn more about Nitrous Effect, please visit http://nitrouseffect.com/.